Index shifting is for wimps! Here is another international entry. 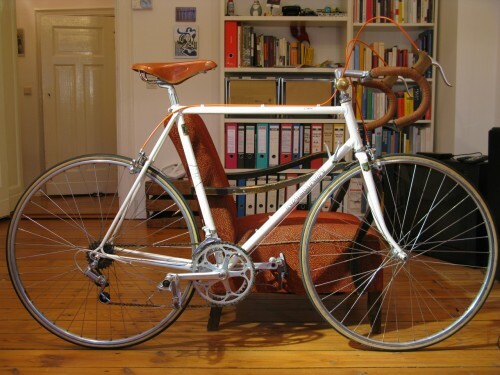 This is a 1984ish Raleigh Corsa send in by Eduardo V in Berlin. I’m pretty sure this is one of the best ‘bookshelf shot’ (in this case I guess it would be ‘bücherregal foto’) that I’ve received. 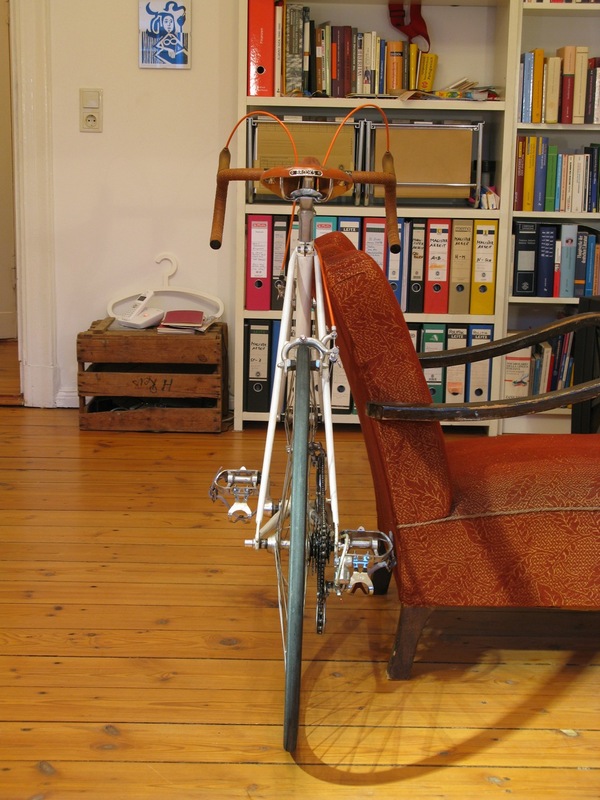 I bought this bike quite as a bargain in the pleasant Boxhagener Flea Market in Berlin! 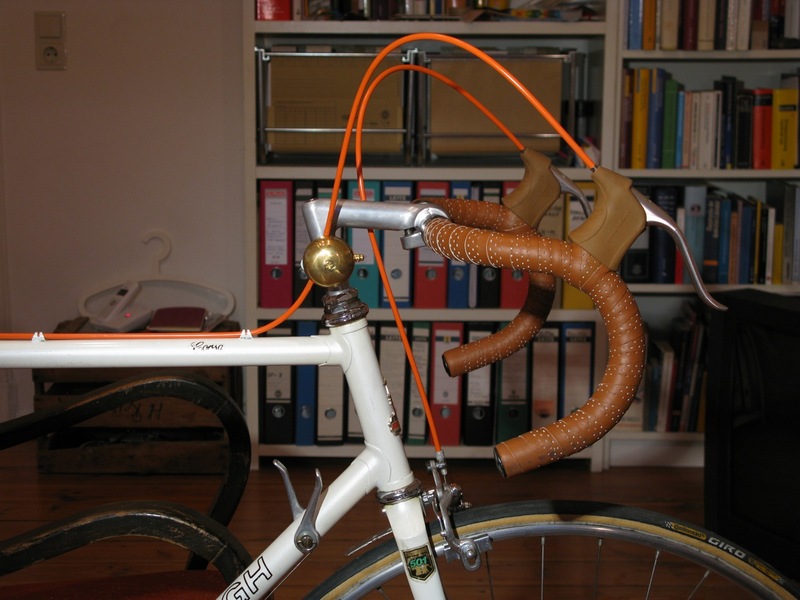 It is a Raleigh Corsa (most likely from 1984) full equipped with Shimano Golden Arrow. Some pieces were in bad shape and the tires were also unusable. In the rush to restore it, the question always was: “be more purist or give it some new look and personality?” I opted for the second way, so after a few weeks, the results come out as you can see on the pictures 🙂 I use it now everyday as a commuter to go working. Achtung! Sie hat eine ausgezeichnet Alte Zwolfganggetriebe fahrrad, Herr Eduardo! So much for my limited German vocabulary/grammar. In any language on any continent that is one sweet bicycle, beautifully executed. Congratulations. 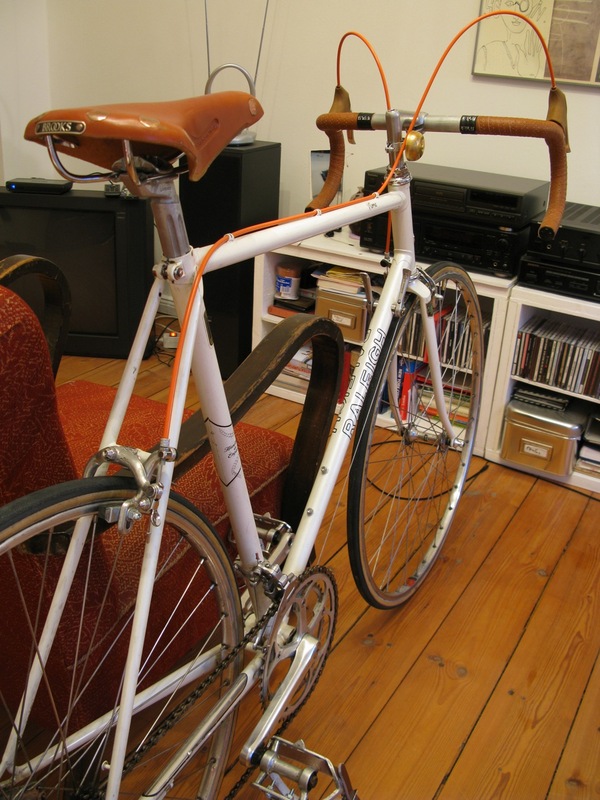 Well that is a nice old white Raleigh! 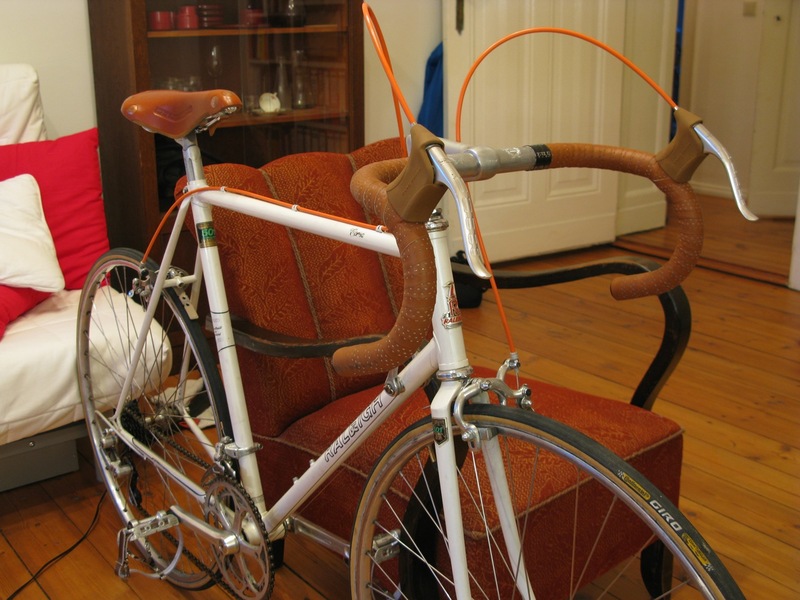 I do like your bar tape and cables, very stylish. wow, gorgeous! Love the handle bar leather too.